This Feast is associated with the Feast of the Circumcision, for in Jewish custom it was when a child was circumcised, after eight days, that he received a name and was accepted as a son of Abraham and a full member of his family. 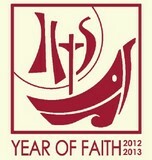 The Feast can be traced back to 1530, and was fixed for the 3rd of January by the late Holy Father, John Paul II. St. Paul was able to write to the Philippians: "at the name of Jesus every knee should bend, of those in heaven, on earth, and under the earth" (Phil 2:10). So honoured is His Holy Name that devout Catholics bow their heads at the sound of "Jesus". Through the particular efforts of St. Bernardine of Siena, devotion to the Holy Name of Jesus was promoted through the inscription of the monogram of the Holy Name (IHS), and the addition of the name Jesus to the Hail Mary. The letters "I.H.S." (from the Latin "Iesus Hominum Salvator") mean "Jesus, Saviour of men". 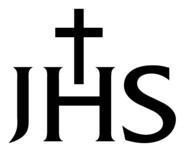 The feast of the Holy Name is a good time to explain the meaning of the monogram "IHS" to children. On this day we can incorporate into our prayers some special prayers of reparation to Jesus for the blasphemies against His Holy Name: the Church has granted a partial indulgence for the recital of the Litany of the Most Holy Name. The 'Divine Praises' is also appropriate. A partial indulgence is gained by just invoking reverently the name "Jesus".